Confessions from Toddler School: Spider Activities for Toddlers! 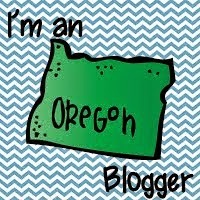 Boy oh boy am I behind on my blogging! Sorry! The end of October was just nuts! My youngest turned 1 and it was a whirlwind of birthday parties, photo shoots and cake smashes! 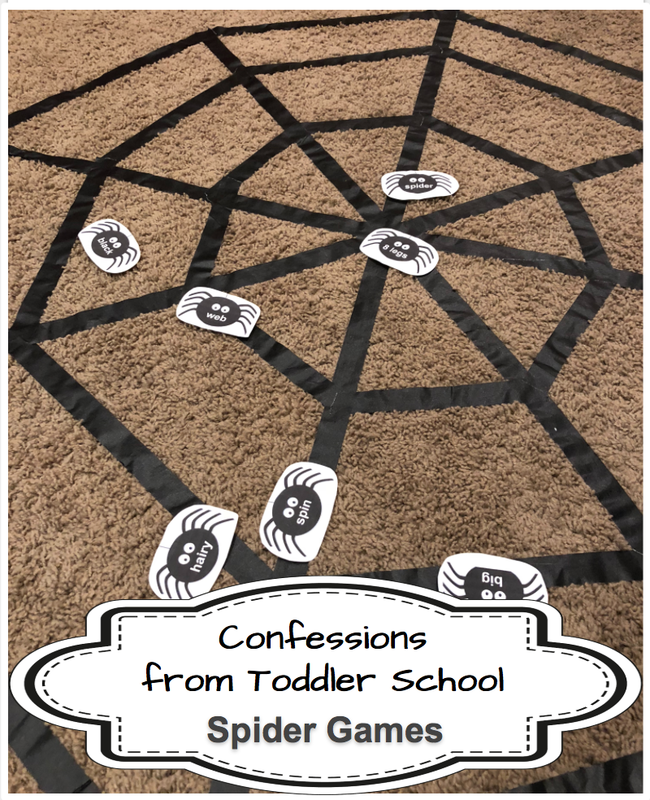 But we did squeeze in a few toddler school activities for our spider unit and halloween unit (up next!) The spider unit is one of my all time favorites! Something about the webs make for the best activities! IMO. 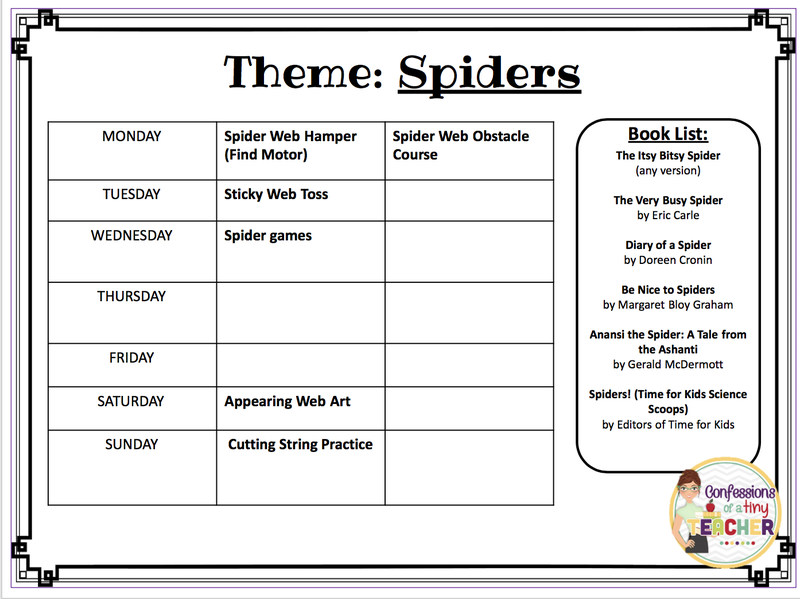 The Very Busy Spider and Itsy Bitsy Spider! 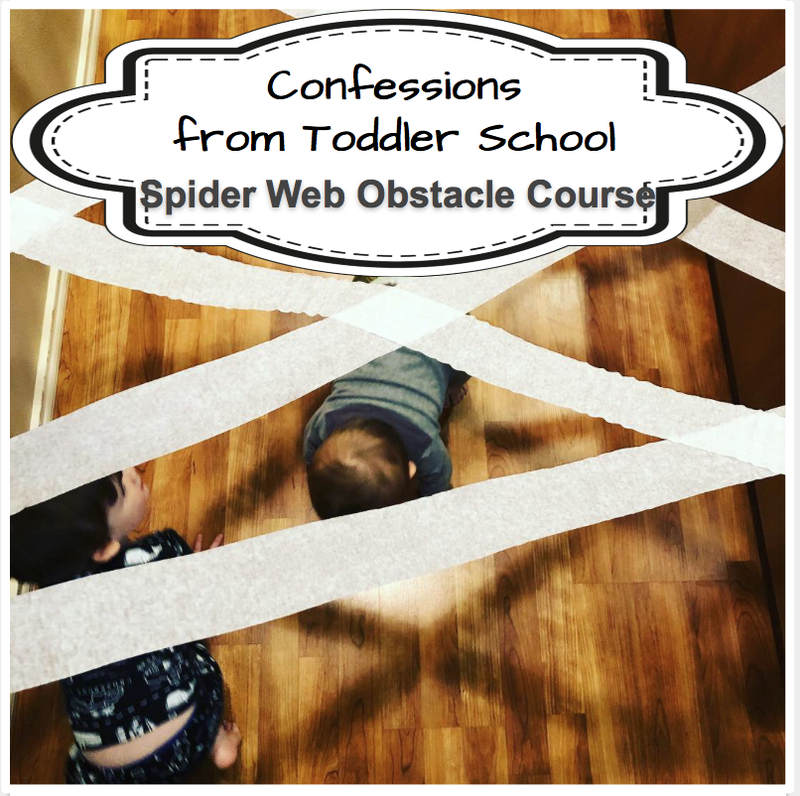 Walk the web: I placed the spiders around the web and would call out a word for Cohen to walk to while balancing. At first he wasn't so great at understanding what I meant by balance/walk on the line but after a few tries he got really good! I think next year I will make the web MUCH bigger so I can play on it too though. Toss the Spider and Read the Words: An adaptation from the spider toss above. But this time we used a spider toy and tossed it onto the web trying to land on a spider word. If we landed on a word we would read it and collect it. Whoever had the most at the end, got to go first the next time! If you want these cute little spiders to go with the activity, you can find those here! 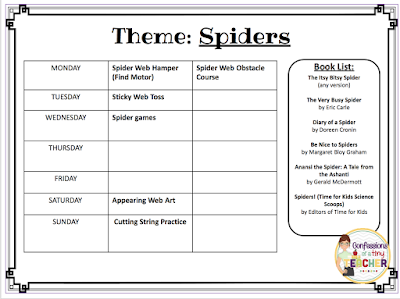 I've included the blank set and the spider descriptor word set. I love that Cohen is finally starting to get into art projects! Up until now he hasn't had much interest or would try for half a second and then give up. But now he's engaging more in the artistic process and I love seeing his creativity come out! 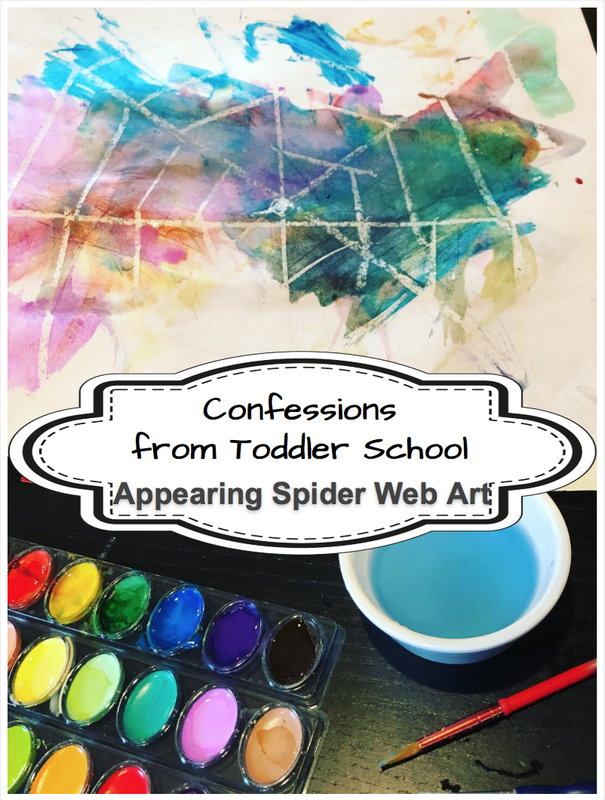 These appearing water color pictures were a huge hit! I don't think I've ever seen him engage in art for that long! If you've never done this before it's super simple! All you do is use a white crayon to draw any picture on paper. Give your little ones water color paint to reveal the image! This was another easy one to set up! I set it up during nap time so it was a surprise for the boys when they woke up! 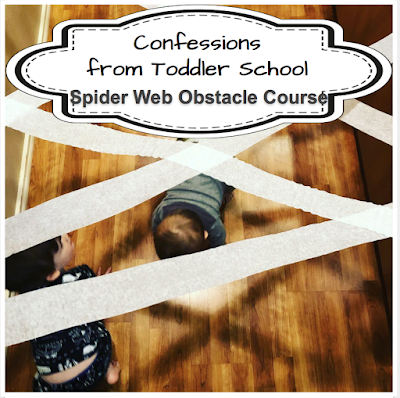 I used white streamers and created a web obstacle course! Originally I wanted one they had to actually crawl through but given how naughty my oldest had been, I figured that was an accident waiting to happen so I opted for an over head one they just crawled under. I loved seeing the boys play together with this one. 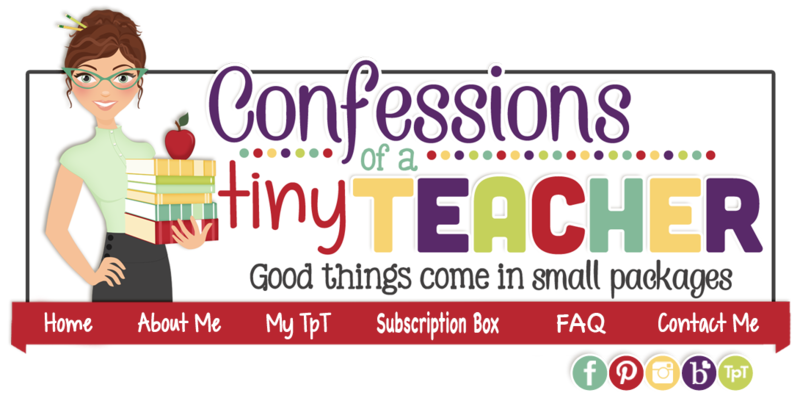 Bonus: We had fun exploring the shadows created by the web! 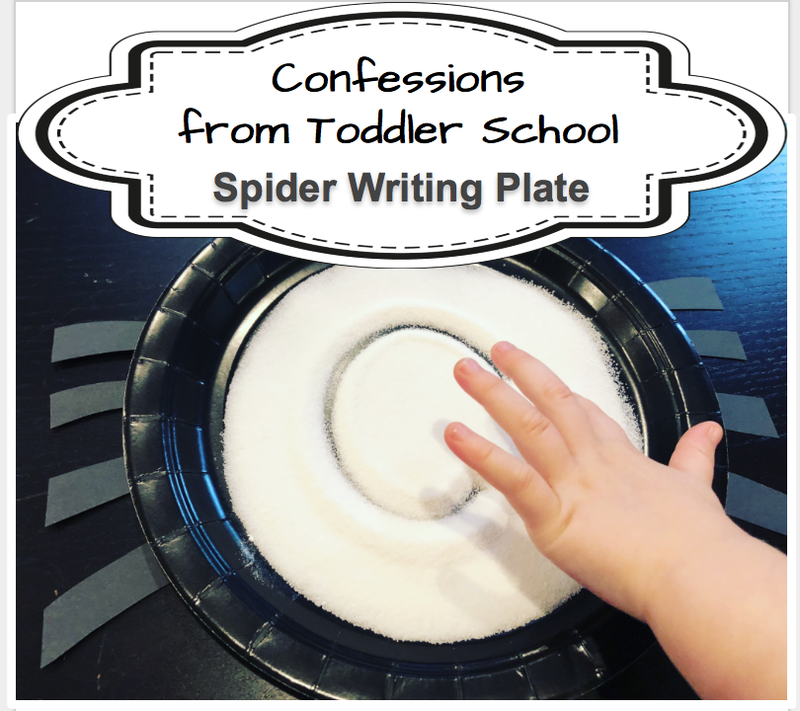 I made this cute spider plate with a black plate and some construction paper. Just fill with sugar and you've got a fun writing plate! One of my big goals with Cohen right now is working on his handwriting (we haven't really done much of that up until this point). So this activity was a perfect pre writing activity. To start, I just let him freely explore the sugar by drawing and shaking. I would then model a letter for him and have him trace my letter. Then we would reset the plate (like an etch a sketch - you lightly shake to clear!) and he would try it himself. On the letters he struggled with, I would hold him finger to help direct him. I tried to get a decent picture of this but if I'm being honest, they looked hideous! it was set up similarly to the obstacle course but instead of streamers I used black masking tape with the sticky side out. 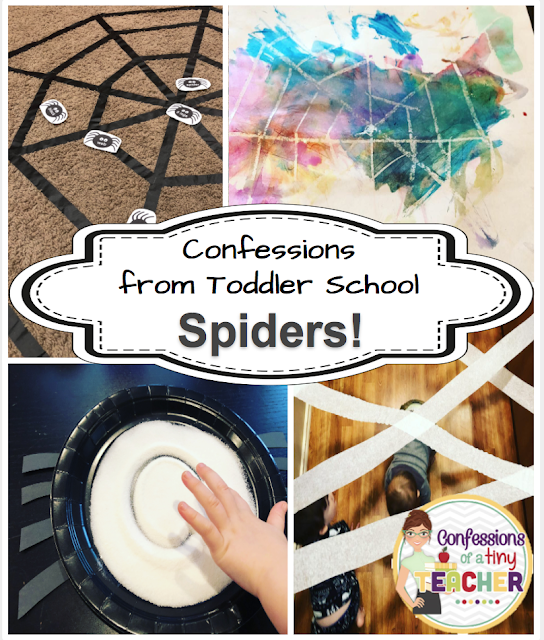 We then used tissue paper balls and threw them at the web to stick! No spider specific outings this week! Although our backyard is overran with spiders and intricate webs if that counts! ?